MSLL Photo Day will take place on Saturday May 4th (rain or shine) in Myrtle Park between the Majors field and the tennis courts. Team photo times have been sent out and team managers can pick up their team package from the concession. 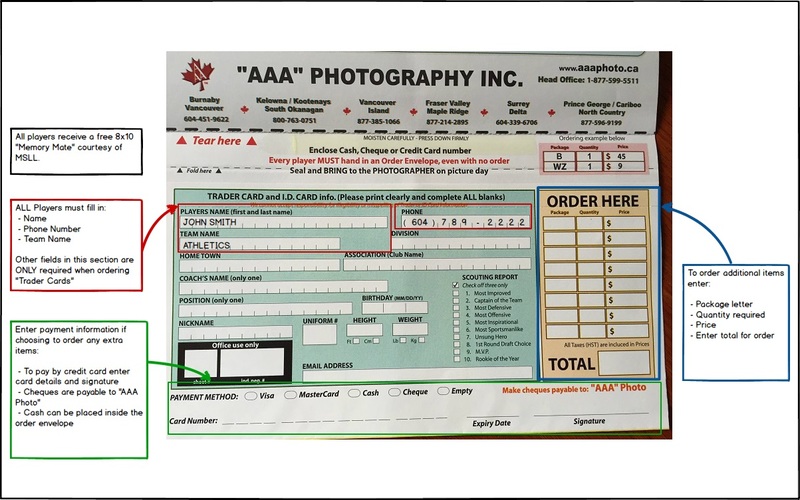 Managers please ensure that you distribute the individual order envelopes to players prior to photo day. Teams should arrive 15 minutes before their scheduled time to ensure that the day stays on schedule. All players receive an 8×10 Memory Mate courtesy of MSLL. 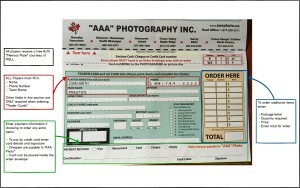 In order to receive this your photo envelope needs to be filled out with your player’s Name, Phone Number and Team Name. If you wish to order additional items, please follow the instructions shown on the form. 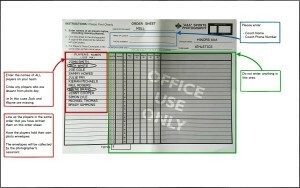 Team managers must fill out the team order sheet. Please do this prior to arrival at photo day. Enter all team players and then circle any players who are absent at the photo shoot. The Mount Seymour Lions Club will be attending photo day. After their photo, all players will receive a ticket valid for a hot dog and chips or pop from the Lions Club. For players unable to attend on photo day a make-up photo session will be held at Myrtle Park on Tuesday, May 14th from 4.45-6pm. 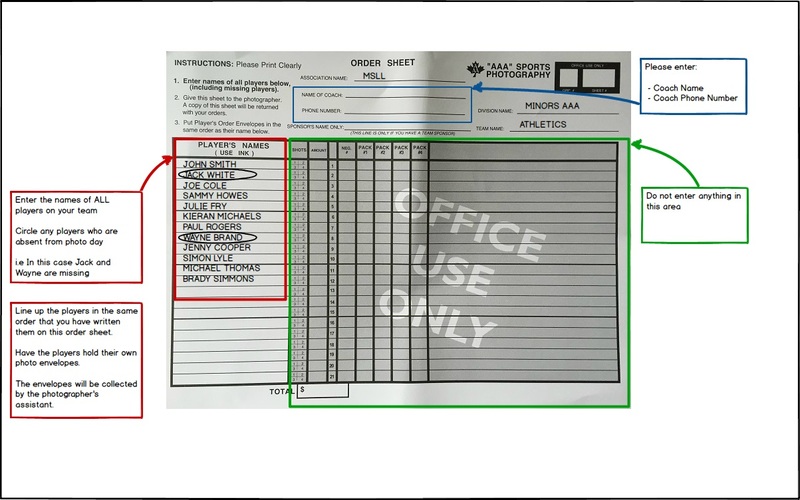 See the images below for an example on how to fill out the manager and player forms.